For a room rate of $145, please call 1-800-245-9190 and you’re with the Falmouth May 2019 Minneapolis group. The Indian Self-Determination Act has undergone significant changes since it was enacted in 1975. This law and its regulations form the cornerstone of the rights tribes have to assume control of services and programs that are funded through the Department of the Interior and the Department of Health and Human Services for the benefit of their tribal members. This class was designed to provide both seasoned veterans and newcomers with an in-depth knowledge of the Act, amendments, regulations and relevant case law. Our expert will discuss important issues, such as contractibility, declination, appeals and reporting requirements. 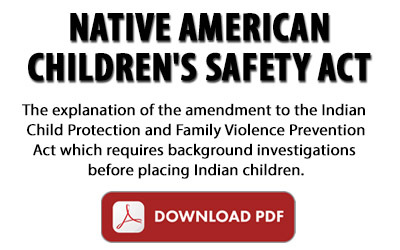 Special emphasis will be placed on the unique rights tribes have under the statute.